(ARLINGTON) - Senior Alivia Koenig closed out her stellar golf career with an 83 at the OHSAA District Tournament at Sycamore Springs Golf Course. Koenig finished in 12th place, the top 3 individuals not on a qualifying team advance to the State Tournament. Koenig finishes her career as a 4 time District Qualifier. 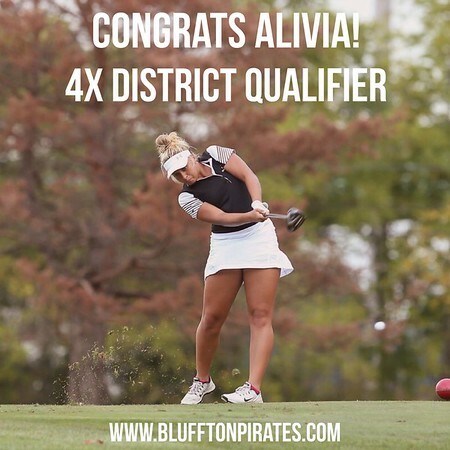 She was the low score for the Pirates in each Bluffton meet her junior and senior seasons. Koenig will look to continue her golf career at Urbana University next fall.